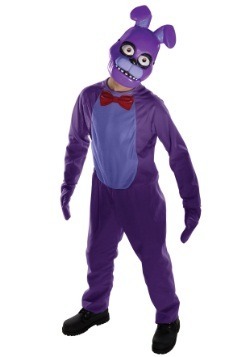 Does your child want the most terrifying mask around to spook his friends? Well, don’t get him a zombie mask, or even a werewolf mask. 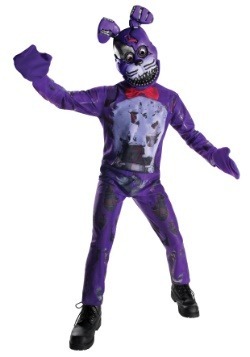 Those might be scary, but they definitely aren’t the most frightening mask around. Can you guess what is? 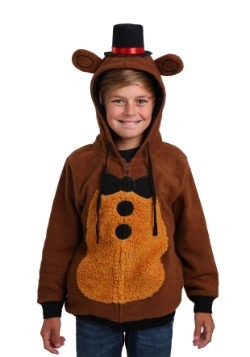 Why, it’s a humble little bear named Freddy Fazbear. 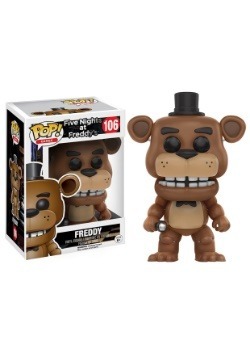 At first glance, Freddy might not seem that intimidating. Those drowsy eyes make him look like he needs a nap and that toothy smile makes him look a little dimwitted, but something about him just makes us feel like we're missing a chunk of the story. Hmm! Of course, we adults can't ever really grasp the truth of what went down at Freddy Fazbear's Pizza, but kids have a sort of understanding of what happened. 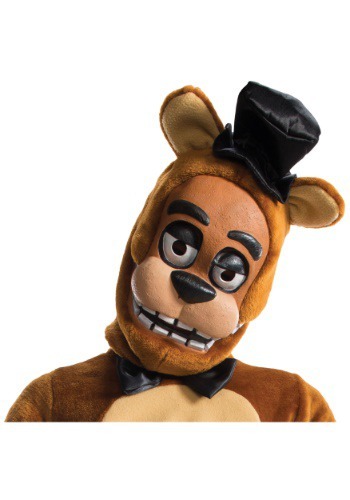 Since kids are already wise to the scary nature of Freddy Fazbear, this officially licensed Five Nights at Freddy's child Freddy Mask makes for the perfect thing for your kid. 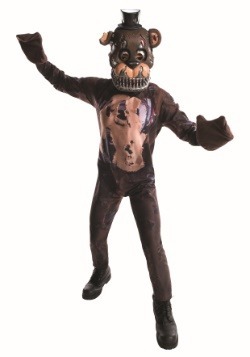 They’ll be able to terrorize their friends relentlessly with this seemingly adorable mask. 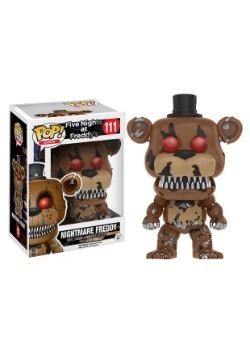 It even comes with an attached top hat on top to get the full-on Freddy Fazbear look!